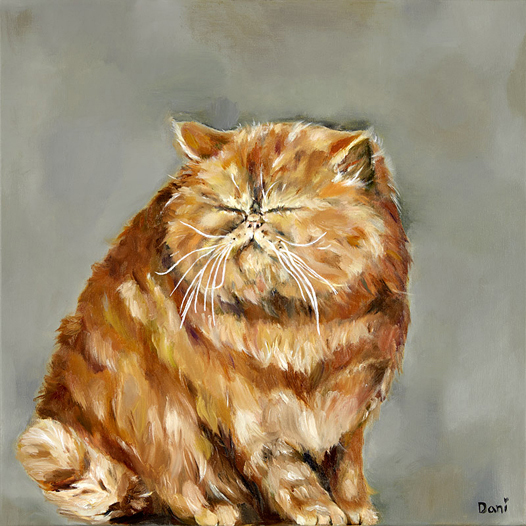 Excited to feature my new Ginger Fat Cat, fresh off the easel. He is a lovely, fluffy, round ginger tabby sitting on a grey ground. Painted in oil paints on a box canvas. He was a real pleasure to paint, especially the long white whiskers. Please get in touch for more information or click here for product information.